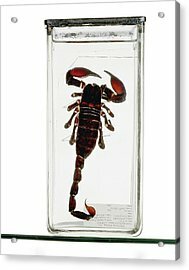 Emperor Scorpion Specimen is a photograph by Ucl, Grant Museum Of Zoology which was uploaded on July 24th, 2016. 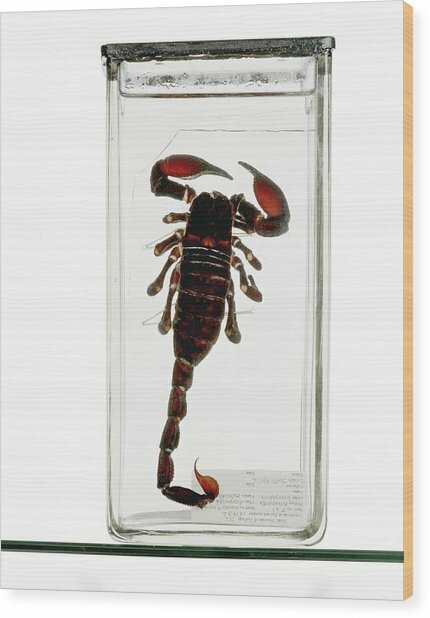 Emperor scorpion. Preserved specimen of an emperor scorpion (Pandinus imperator). This is the largest of the scorpions, reaching a length of over 20 centimetres. It inhabits forests and savannah in tropical central Africa. 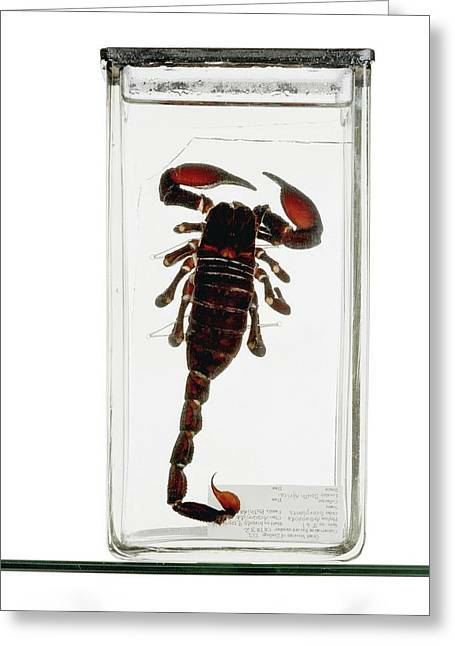 Its tail is tipped with a ball-like segment called the telson, which contains venom glands linked to a sharp sting. 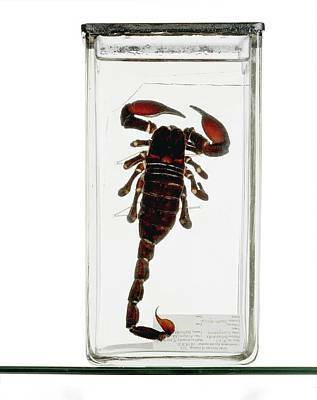 This scorpion's sting is not fatal to humans, having an effect like that of a bee sting. 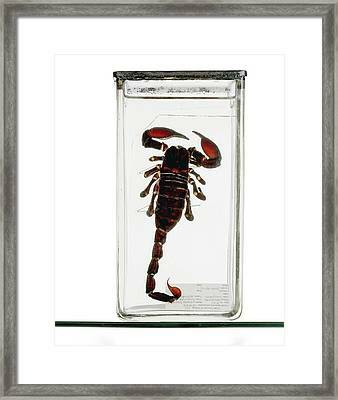 The emperor scorpion feeds on insects, arachnids, small mammals and reptiles. 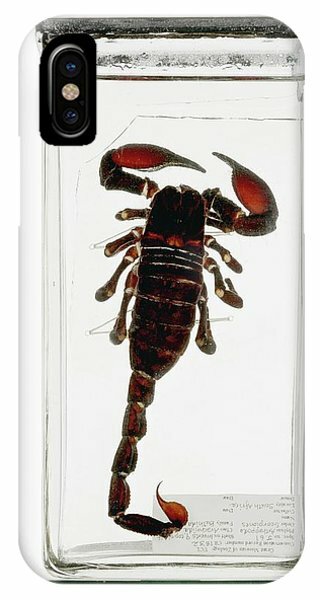 Prey is held in the pincers, stung with the tail, and then eaten. There are no comments for Emperor Scorpion Specimen. Click here to post the first comment.